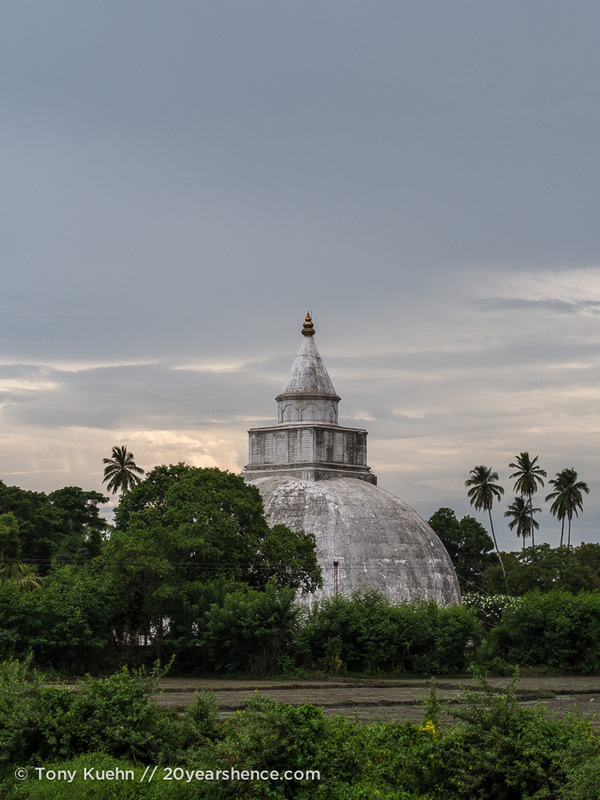 Like every traveler to Tissamaharma (a name that trips up the tongue rather than rolls off of it, resulting in it being more frequently referred to by its diminutive, Tissa), we trundled into town to see about some cats. 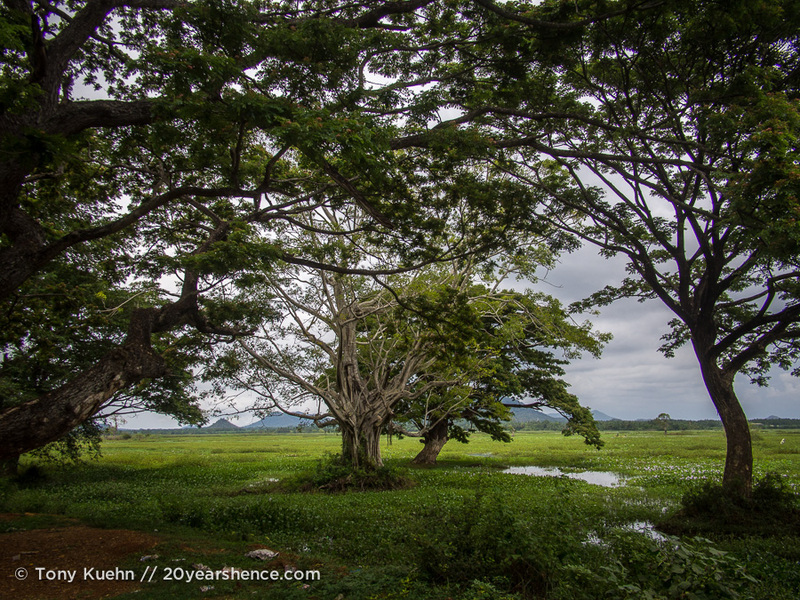 Positioned such as it is, Tissa acts as the staging post and gateway to Yala National Park. Though Yala is Sri Lanka’s second largest wildlife sanctuary (it spans nearly 1000 square kilometers), it is the country’s most popular animal attraction, in large part because it is home to the world’s highest concentration of leopards. 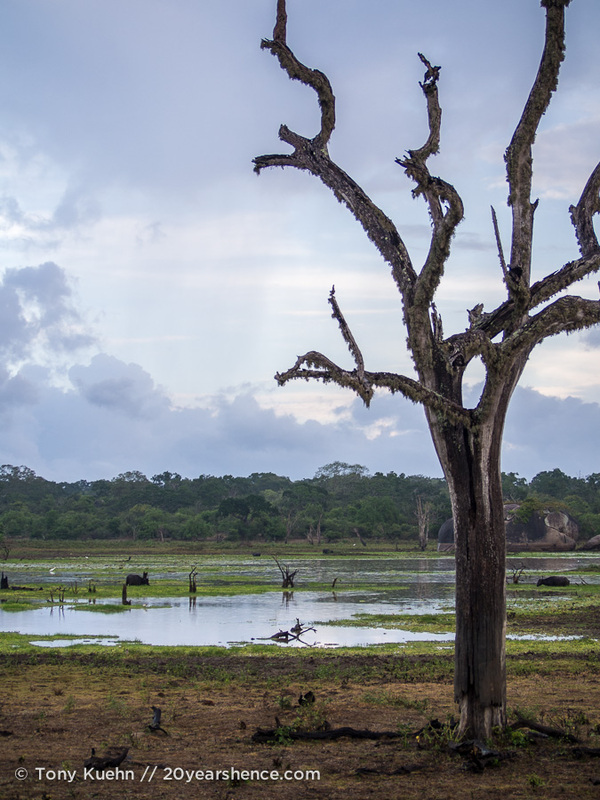 In addition to these big cats, many other species endemic to Sri Lanka (such as sloth bears, elephants, civets, water buffalo and more) are known to prowl Yala’s expansive grounds. But the shy, reclusive leopards are the park’s big ticket attraction, and it is for them that most visitors flock to Tissa. Although we’re unabashed dog lovers when it comes to domesticated alliances, on this front, we were squarely in the cat camp as well. 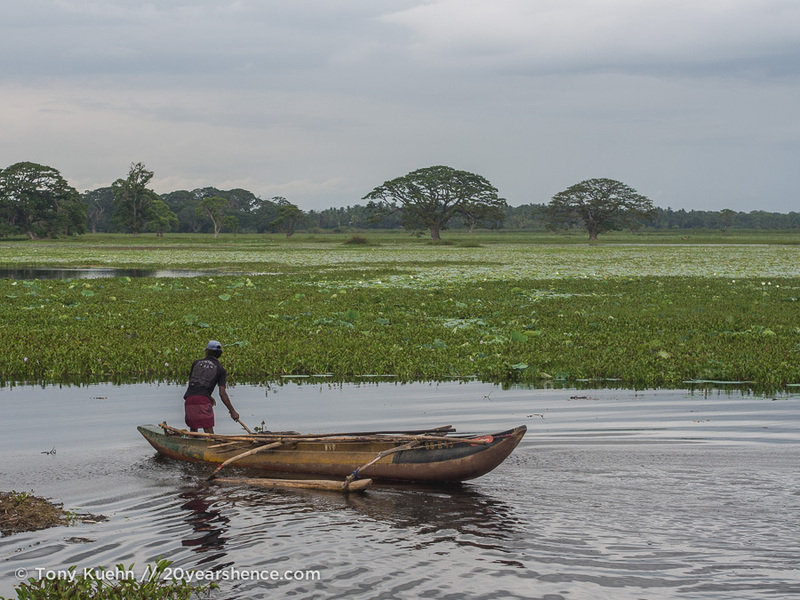 Arriving in Tissa, we had nowhere to stay and nothing booked, which is generally how we prefer to do things as we find the best deals tend to be found while on the ground. Given that we were traveling in the shoulder season, we were surprised to find a few places were fully booked when we stopped to inquire about rooms, but it was clear that more places than not were hungry for our business. Although we rarely go along with touts, one guy very insistently followed us around from place to place until we agreed to look at one place with him (verdict? 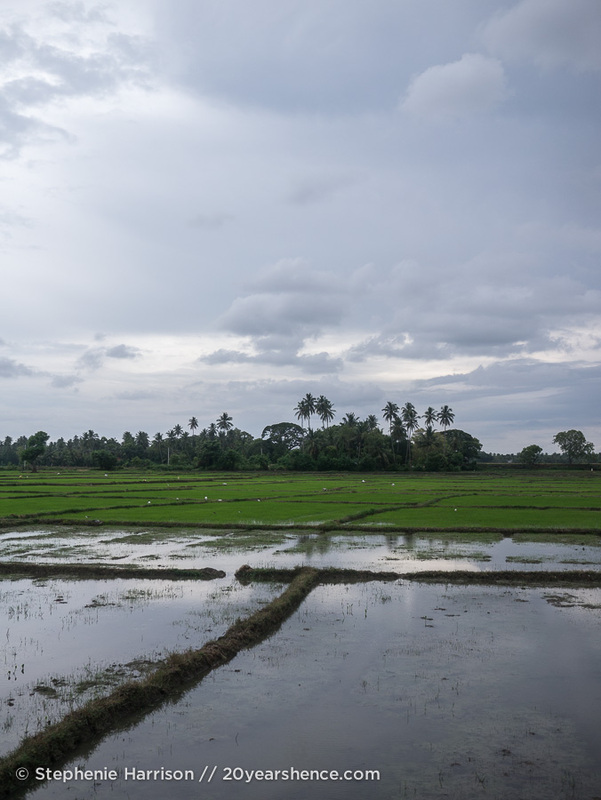 If we had found it on our own, the price of the rooms probably would have been fine, but when we checked out the menu—always important in Sri Lanka, since more often than not you’ll wind up eating at your guesthouse—the prices were sky high, so we decided to pass. ), and in the end, we wound up staying at a place that a safari driver who had spotted us when we were first entering the town had given us a card for. 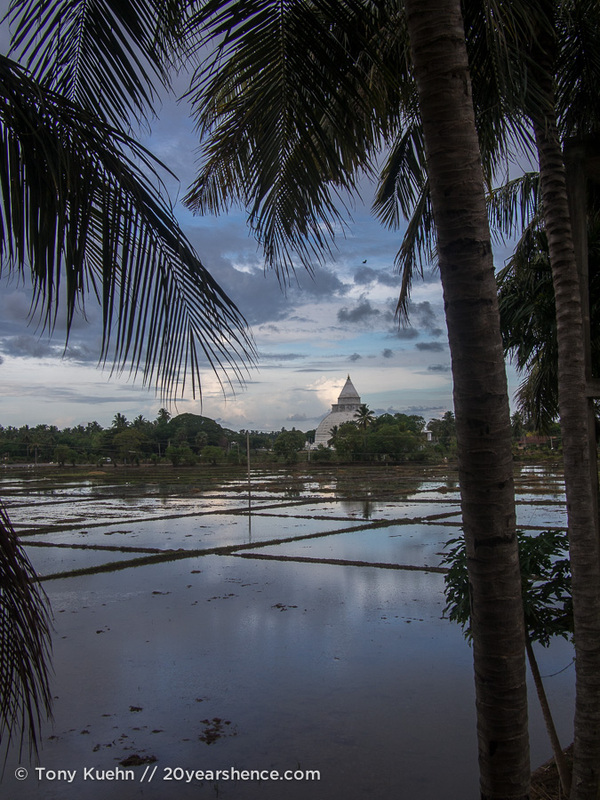 Surrounded by glorious green rice paddies and quiet marshes, we felt like we were entering into a tropical paradise when we entered the grounds of the Eco Holiday Lodge and immediately knew we had found our base. After settling into our room, we chatted with our driver for the following day’s safari, overviewing the various available packages. Ranging from three-hour quickies to full-day extravaganzas, there were safaris for every interest (and budget) level. In the end, we decided to go for the six-hour “special leopard” safari, that was meant to maximize our chances of spotting these elusive creatures owing to an exceedingly early arrival at the park—right when Yala opened its gates and a full 90 minutes before the standard safaris began. So it was that the next morning we were up at the utterly unripe (and inhumane) hour of 3:30, and were stumbling down the stairs to pick up our packed breakfast from the kitchen before settling into our cushy ride for the next quarter of the day. 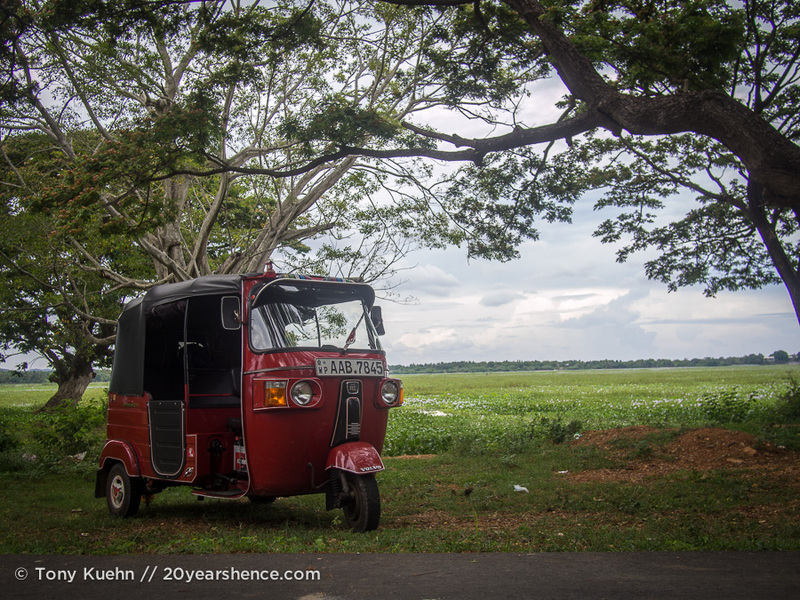 As we bounced along Tissa’s unevenly paved roads, the darkness was thick like a cloak around us, and the only sound was the purr of the engine, the whistle of the early morning breeze in the trees… and the distant growl of thunder. By the time we had arrived at the hotel to pick up the French couple who would be joining us on the day’s outing, fat drops of rain were splattering intermittently against the windshield; when we arrived at the ticket office for Yala and our driver scampered inside to purchase our passes, the growl had turned into a roar and the heavens were hammering down upon us in sheets of icy rain. We scurried about, pinning up the clear tarpaulin that would turn the interior of the jeep into a steamy sauna, but relatively dry from the biblical storm raging outside. I’m no expert on leopards (or any other wildlife for that matter), but I had a sinking suspicion that the storm didn’t bode well for our chances of spotting one of them. My understanding is that the leopards preferred to hunt in the early hours of the morning when it was still relatively cool, but I imagined that if they were anything like me, they’d probably be waiting out the storm in a nice densely covered tree. 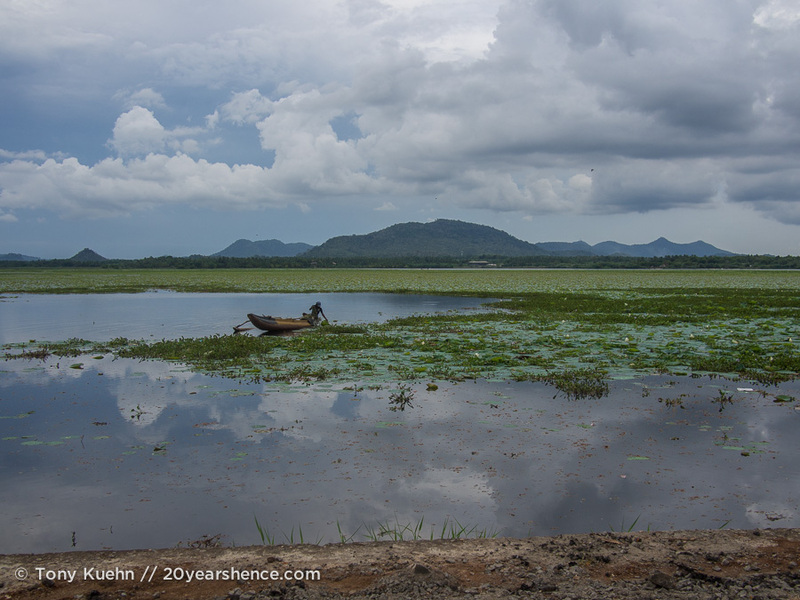 And although the storm only lasted about 40 minutes, it seems my unwanted premonition was born out: despite six hours of trawling the open sectors of Yala, we never saw its famous cats. Given the amount of space they have to hide, I suppose it’s more likely that you won’t see them than that you will, but we still had our fingers crossed that luck would be on our side. At one point our driver received a call on his phone and went driving madly off into the heart of the park and we thought our luck might have turned, but the end result was simply a bunch of jeeps crowding around as we stared blindly into the distance wondering what the fuss was about. Apparently one jeep had spotted a sloth bear, but by the time we made it there, the commotion had forced it back into the thick brush. 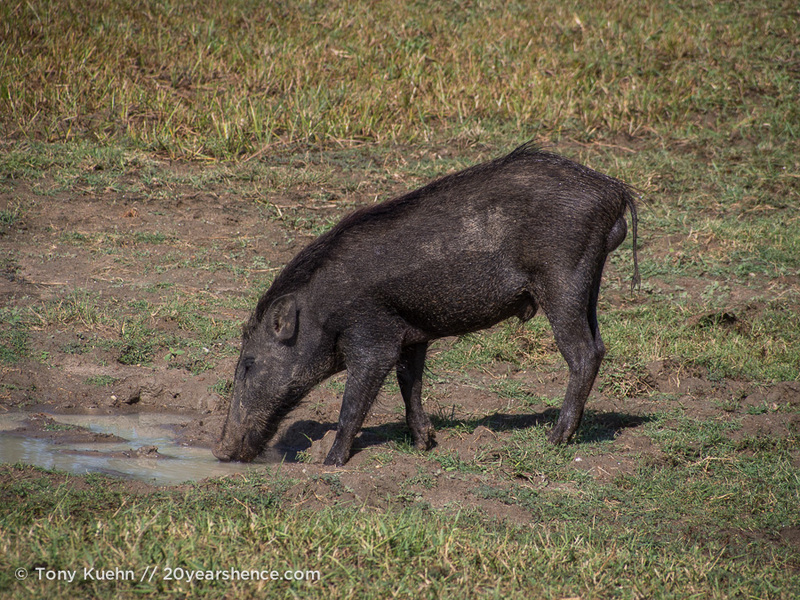 Instead, we had to make due with sightings of clusters of timid spotted dear, feisty little wild boars, stealthy crocodiles, and an abundance of water buffalo, contentedly lolling about in mud baths. 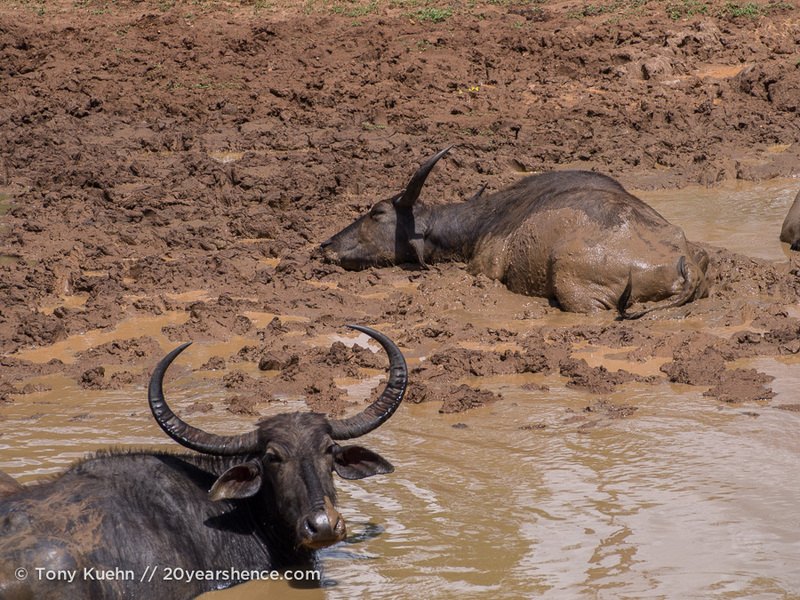 Apparently the latter are threatened species, but they seem to be living the good life in Yala and they were by far the creature we saw the most throughout our morning in the park (somewhat to our disappointment since, as funny as they are to observe, we have seen more than our fair share of water buffalo during our months of traveling around South East Asia). 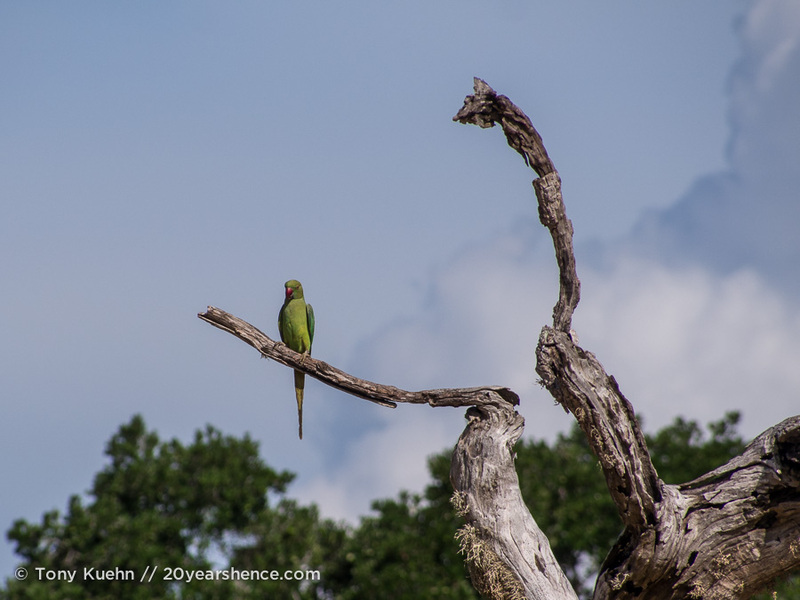 We also saw a variety brightly colored birds during our romp through the park, from the vibrant little bee eater to the jewel-hues of the kingfisher, majestic peacocks, and even a few sightings of the national bird, the Sri Lankan junglefowl; the number of strange and wonderful birds out on parade actually reminded me quite a bit of our unexpectedly awesome day at the Jurong Bird Park in Singapore! 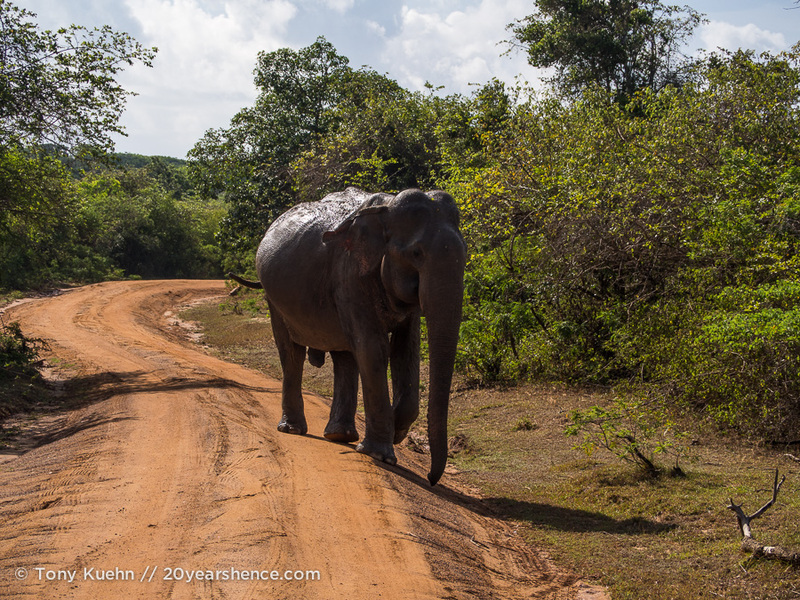 And while we didn’t get leopards, we did get a few encounters with wild elephants (just like in Borneo!). 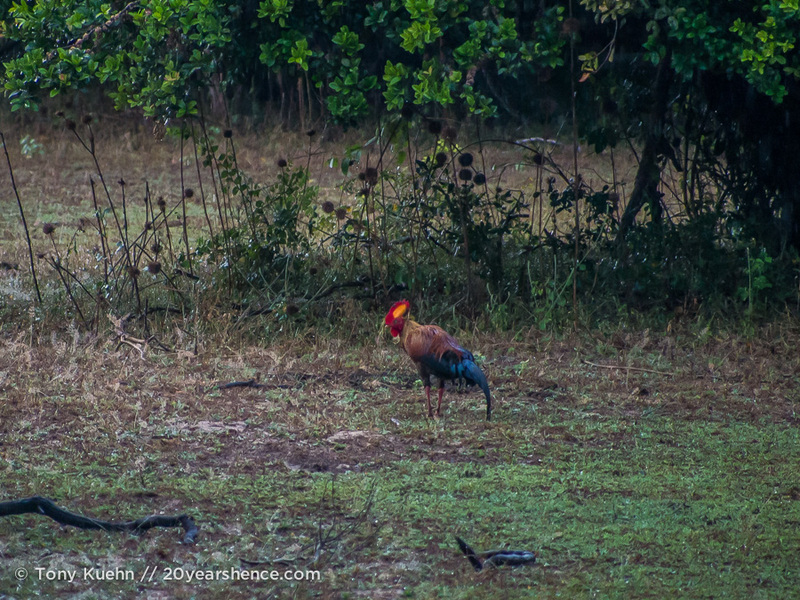 One came striding down the road toward us before tromping off into the bush, and later on in the day, I was awoken from a brief bit of shut eye (We had been up for so long! And the day was so hot!) 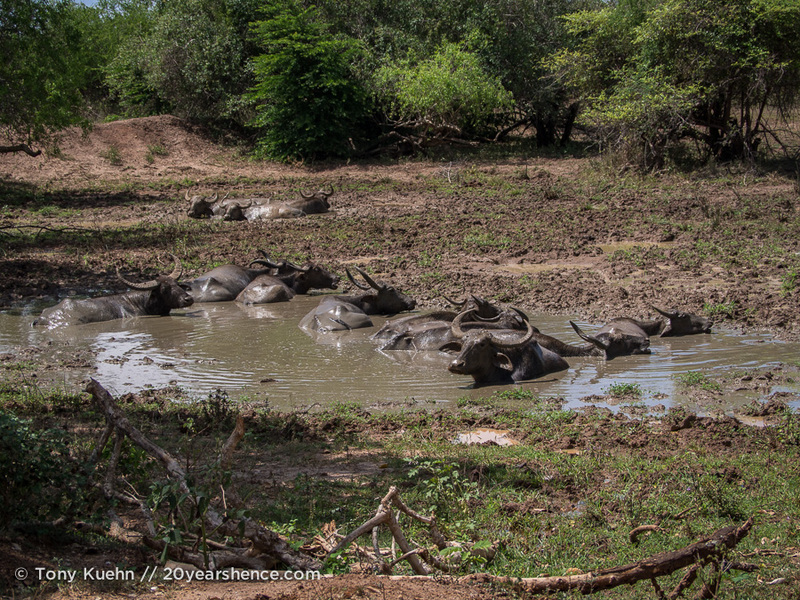 by the crashing sounds of a few pachyderms crashing through the bush, munching on foliage as they went. I admit that sometimes I get a bit blasé about elephants, especially since we had the chance to spend a day feeding and observing them while in Chiang Mai, Thailand, but really, any day where you get to sit in the shadow of these wonderful creatures is pretty much a success. 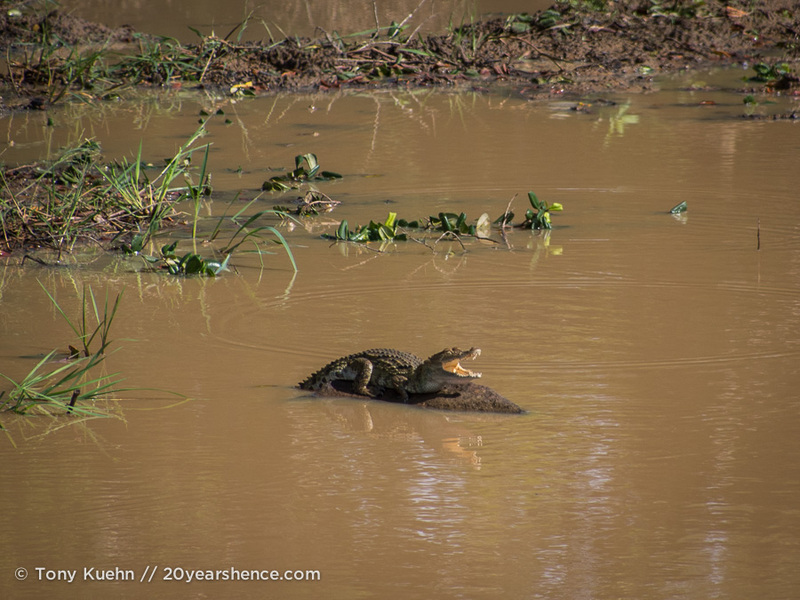 With wild animals nothing is guaranteed, and we accepted the possibility that our hunt for Yala’s spotted kings might not be fruitful when we signed up for the adventure. It was certainly disappointing that we didn’t get to witness leopards in the wild, but much of that sting was absorbed by the other creatures we saw, the legitimately gorgeous vistas that make up Yala, and the fact that being driven around in a cushy all-terrain vehicle with a lap-full of snacks and no job other than to sit back and enjoy the ride is certainly not the worst way to spend a morning. To put it another way: Leopards would have been the icing on the cake, but I’m never going to complain about any cake, iced or not! Obviously the only thing to do after returning to our lodge post unsuccessful leopard hunt that commenced at 3:30 am was to take a catnap. And though we could have happily dozed all day, Tissa is too pretty of a place to spend it snoozing. 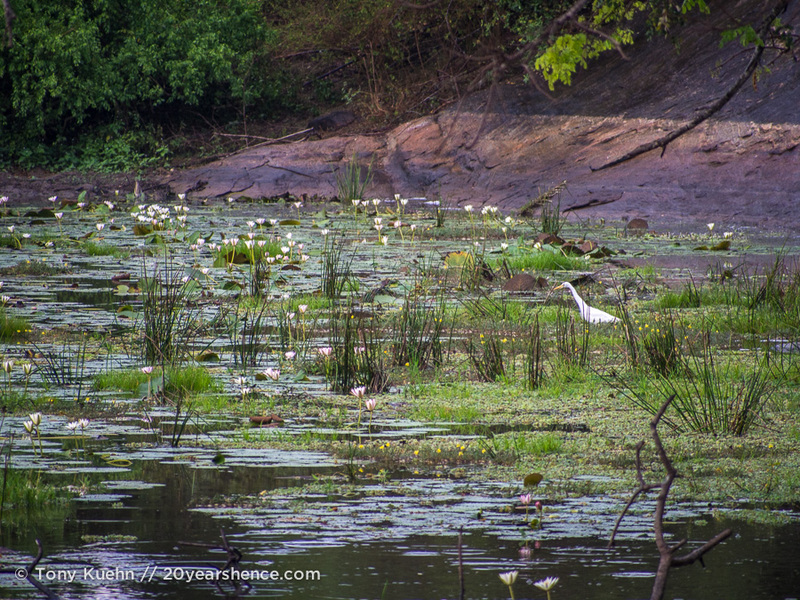 Truthfully, we both agreed that even though we went to Tissa for the safari, it is a place that is so chill and lovely that it would be worth a couple of days on any itinerary. 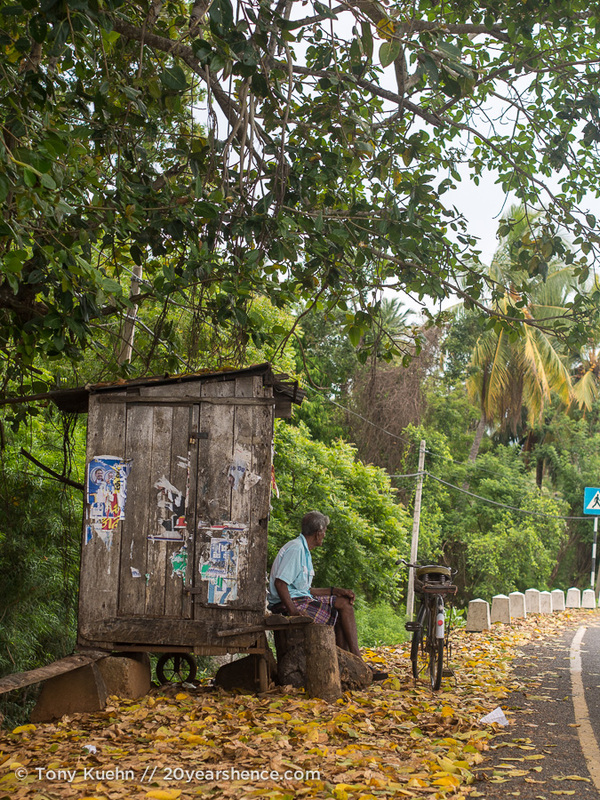 If you think that Sri Lanka is only good for beaches (albeit, the best beaches), then Tissa will set the record straight. The climate here is tricky, with verdant rice paddies on one side of the road, and then foliage resembling an English meadow on the other. 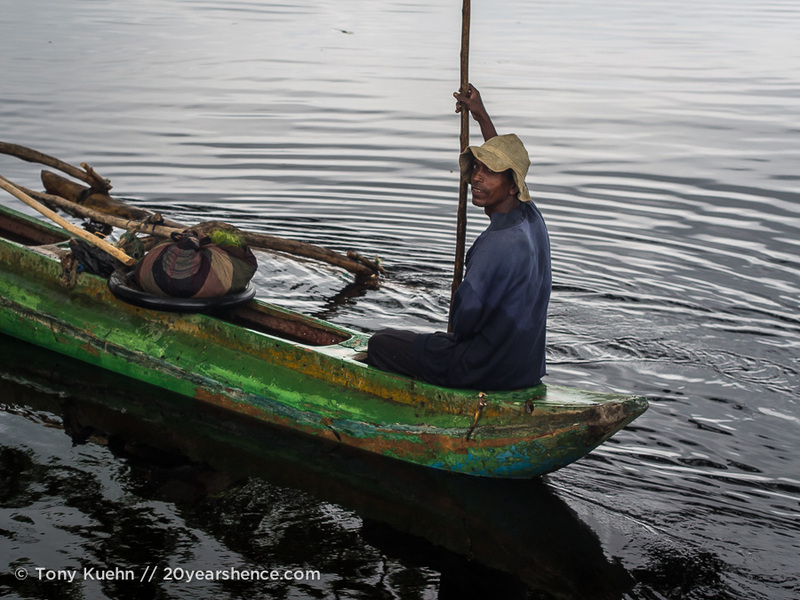 The cornerstone of the town is a man-made lake, that is the very definition of picture-perfect pretty, filled with fisherman, bathing locals, and (of course) a few touts who would only be too happy to row you around the lake… for a price. Lazy rides around town revealed bright white dagobas framed by emerald lily ponds and turquoise skies. When I think back on Tissa, these are the things I remember. And I find that my heart swells with such gladness and the memory of beauty so pure and a day so rich, that I find myself wondering how we could possibly consider ourselves to have missed out on something during our stay. 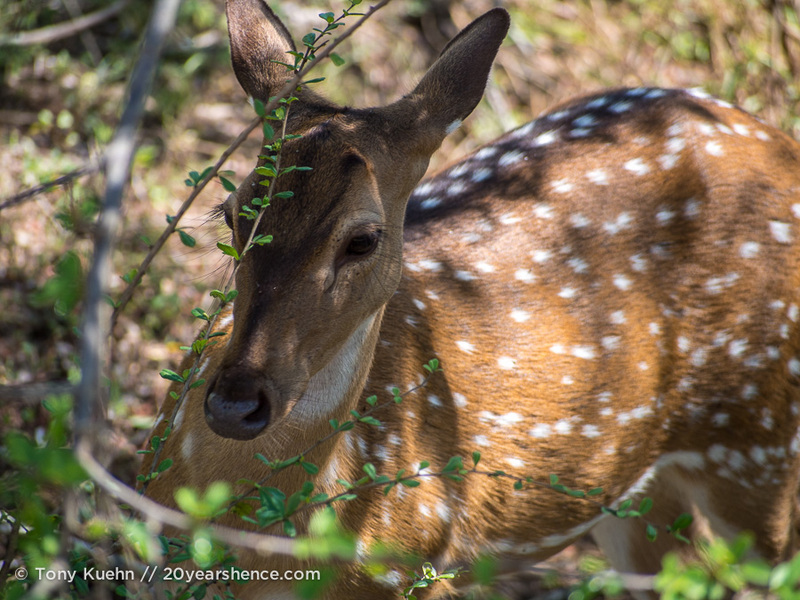 Leopards or no, we enjoyed the heck out of or time in Tissa, and our only real regret is that we only had two days to spend there when (like everywhere else in Sri Lanka) we could have spent so many more. Maybe the fact that we didn’t see leopards was really a blessing in disguise… now we have a reason to go back! 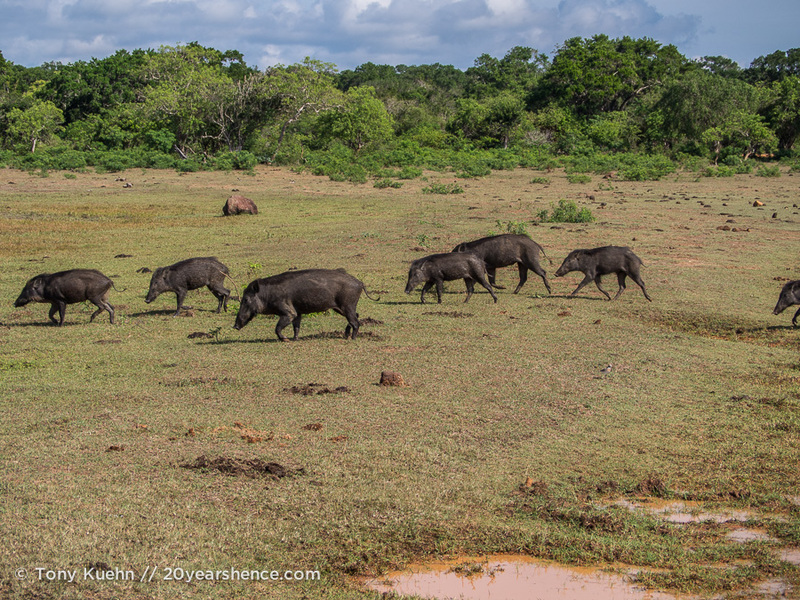 We paid 5,500LKR ($42US) per person for our 6-hour safari. 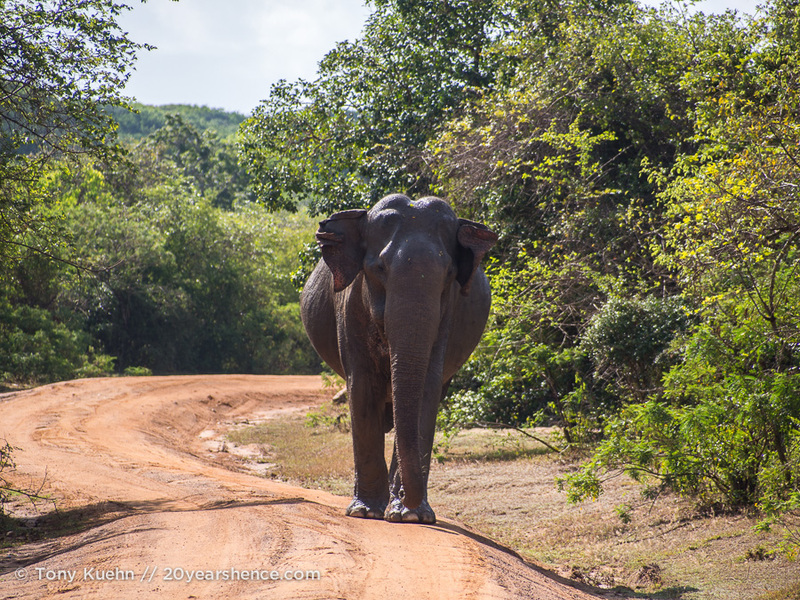 (By comparison, a 4-hour safari only ended up being 500LKR cheaper…) This included all of the passes and permits into Yala, the driver and quality jeep, water and fruit snacks, and binoculars. This was the cheapest rate that we were quoted for the safari and seems to be considered a fair price. It did not include breakfast, but that was included in the rate of our room (as is common in Sri Lanka), and we had no issue getting our breakfast packaged up to take with us. NOTE: This is an all-inclusive package price, meaning that after we paid our driver, we did not have to pay anything else. 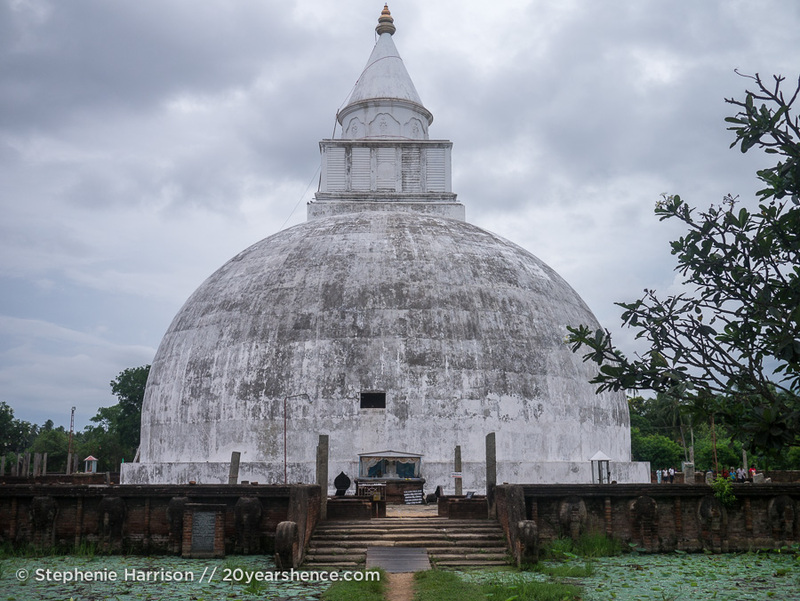 If you are shopping around for tours and they mention that you will have to buy your Yala passes separately, you should pay much less as a day pass to Yala costs 3700LKR per person. 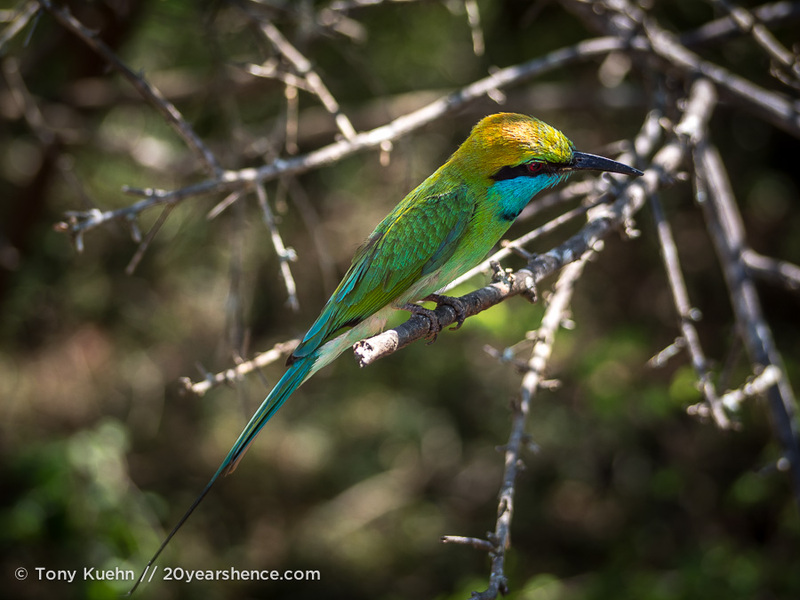 There are morning, full-day, and afternoon safaris on offer. Reports vary as to when the best time of day to spot leopards is, but without a doubt, the best time is NOT in the middle of the day (or when it’s torrentially downpouring, but that’s beyond your control). For this reason, the full-day tours aren’t really worth it as far as we’re concerned: all the jeeps that offer this drive to a lunch spot where you hang out for a couple of hours, before heading off again around 2 pm or so. 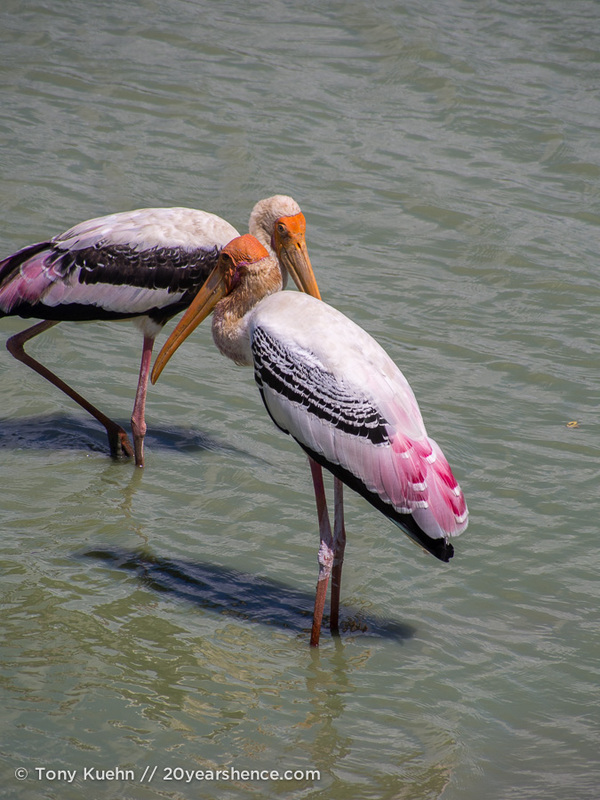 To be perfectly honest, we spent six hours touring Yala and felt that was plenty. Sure, if we had been out in the afternoon, we might have seen a leopard, but we really did feel satisfied after six hours. If at all possible, try to get a look at the jeep you’ll be riding in before you commit. The car we were in was really nice, with elevated seats facing forward (not bench seats running parallel to the jeep), meaning that everyone had a clear view on both sides of the vehicle. 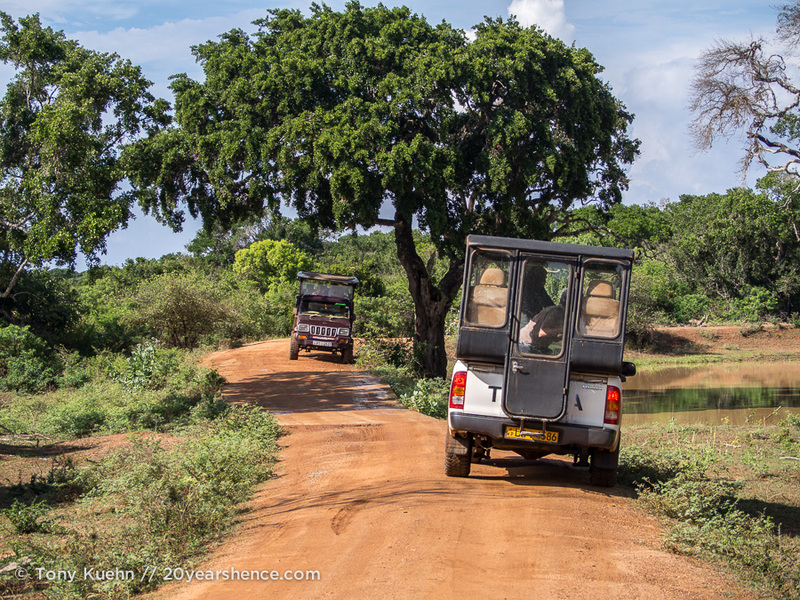 Some of the jeeps we saw out in the park were much lower to the ground, far more run down, had less cushy seats (Yala roads are bumpy!) and had way more people packed into them. If you are paying a suspiciously low price, you might be crammed into a hunk of junk like a bunch of sardines. Literally everyone will offer safaris, but we found it made the most sense to book through our guesthouse. Our rationale is that if you’re going to book both accommodation and a trip through them, they are more likely to offer you a good deal. Plus, if you do have trouble during your safari or are not delivered what you were promised, it’s easier to cause a fuss since you know who to talk to. We didn’t get a notable discount on our safari, but we wound up getting a discount on our room since we were spending 2 nights and went with the guest house’s safari driver. All of the safari drivers are in constant contact with one another, so chances are if anyone sees a leopard or anything of note, there will be a race from all other jeeps to reach the same spot. 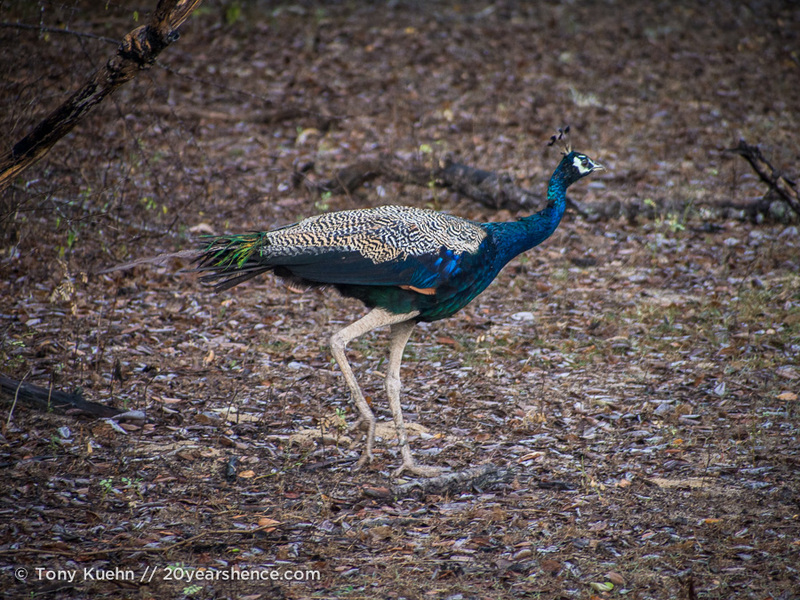 This happened for us when there was a rumored sloth bear sighting and on our second elephant sighting. 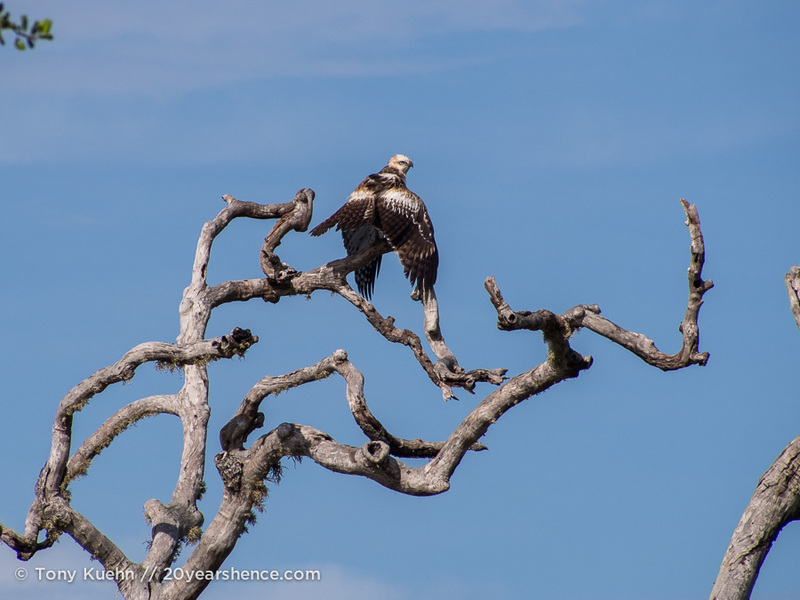 Some people argue it is worth paying to have both a driver and a spotter, since the driver must concentrate on driving, but we found our driver had eagle eyes and was pretty great at spotting things without anyone else’s assistance. Tipping is optional, but Sri Lanka is a tipping culture and if you think you received good service, a tip will certainly be welcome. We wound up tipping our driver 1,000LKR ($7.50US) for the two of us, and he was genuinely grateful for that. On the other hand, the French couple we shared the jeep with did not tip at all, and he didn’t appear insulted or offended by this either. 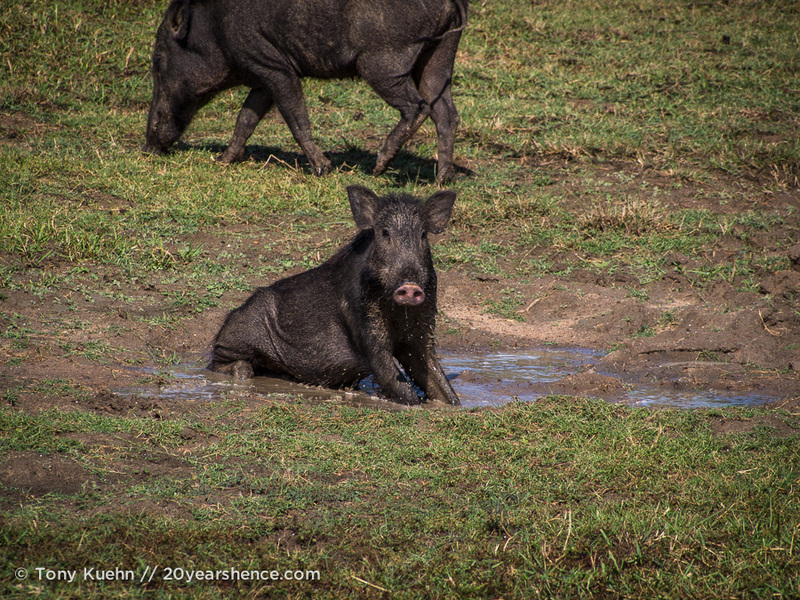 Tell Us: Have you ever done a wildlife safari? What’s the coolest animal you’ve encountered in the wild? Bummer about the leopards but ELEPHANTS! I have yet to see one in the wild but my quest continues!! I know, right? I mean, leopards were the goal, but I can’t get too bent out of shape when elephants are our consolation prize. Loved, loved, loved these pictures. You two are so talented. I’m just now in the process of putting together a trip to South Africa and Zimbabwe for mid January to mid February and this post just makes me all the more excited for our game runs. 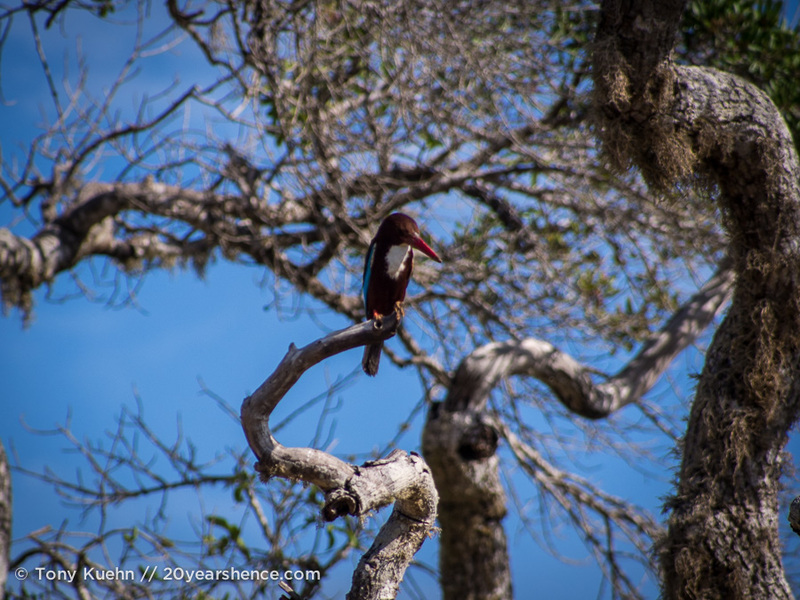 Wow, Joanne, an African safari is one of our dream vacations, and I’m sure the animals you see on your vacation will put our own sightings to shame! Crossing my fingers that you have more luck than we did (though we are still pretty happy with what we saw!). Ahhhh see THIS is why I need to go back to Sri Lanka! I didn’t even know you could go leopard spotting there!! And by the way, yes, you’re definitely coming along on the next trip – that pic of the two trees with their arced canopies, the lake and the hill – breathtaking!! 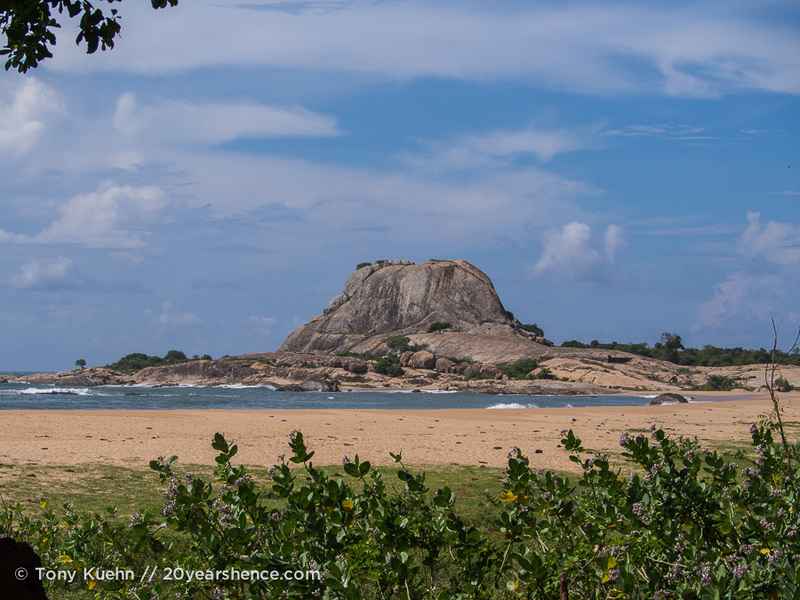 There are so many things to do in Sri Lanka; we really only scratched the surface! 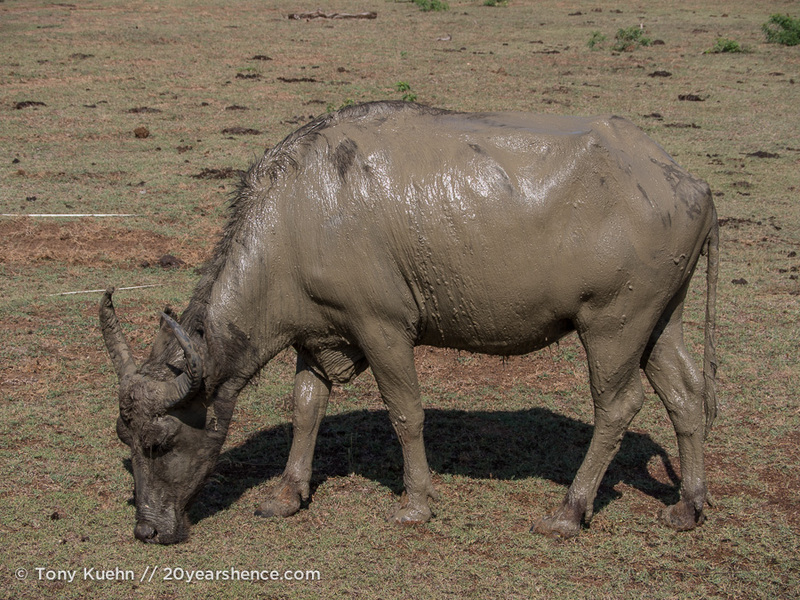 Because we didn’t go on safari in Nepal, we really wanted to go here (especially when we heard about the leopards!) and I’m glad we did. 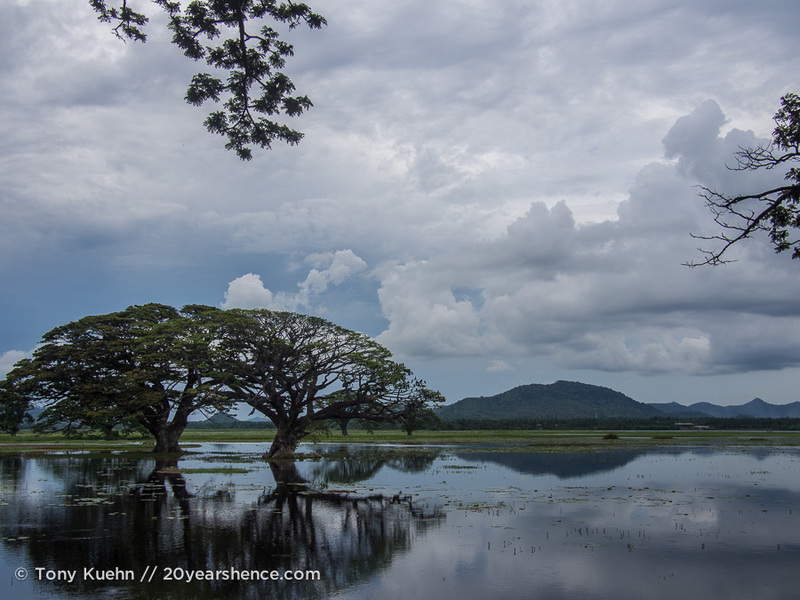 Even without the animals, Yala is a stunning national park. I would have been bummed not to see the leopard too but I feel like it’s similar in India, all the tours say you MIGHT see a tiger & most people don’t! 🙁 I guess they like playing hide and seek! But awesome that the elephants came through. Rachel of Hippie in Heels recently posted..Introduction to Varanasi: It did NOT Go as Planned! Yeah, it’s a drag that there are no guarantees with wildlife attractions, but I suppose we prefer it that way since it means they’re just letting the animals be and not treating it like a glorified zoo. It’s the same way with diving, and since we’ve been disappointed on so many dives where the big ticket item was a no show, I guess we’ve gotten used to it! 😉 Generally these places are so beautiful in their own right, even without the animals, it’s still a nice day out. How dare those leopards not come out for you! 🙂 The rest of your pics are stunning (as usual), especially great shots of some of those birds. I beer birders would have a field day out there – even without any cat potential. 3:30 AM – gasp! BTW – I’m also not a cat person, but would have sided with them if they made an appearance 😉 Elephants are also amazing, and I’ll always be team elephant. I know! What were those leopards thinking? As you said though, at least we got elephants. Any day with elephants is a good day. 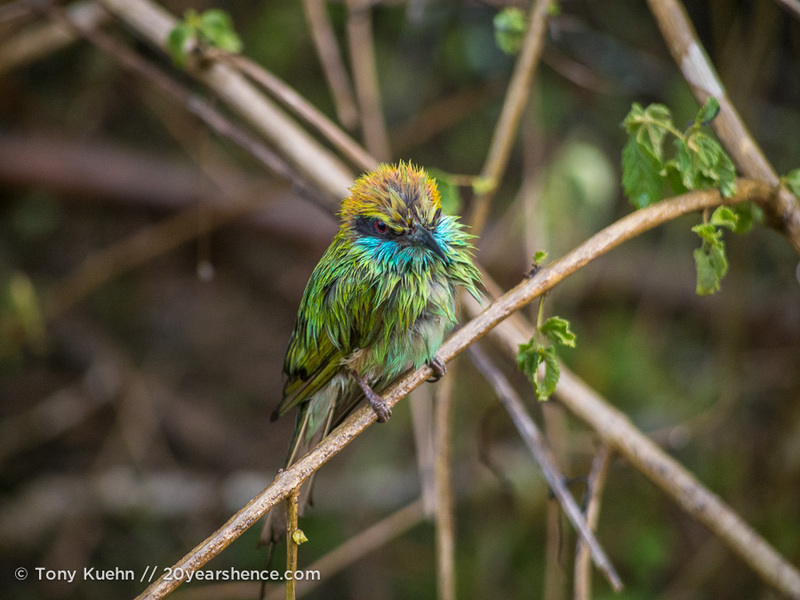 I had the same thought about how if only I were a birder, because we’ve really seen some incredible birds on this trip (even without that passion, I still enjoyed seeing them! Anything so colorful is going to delight me!). I am so behind with your entries! I’m sorry! “Unripe” was the most ladlyike adjective for 3:30 am, believe you me! I am most assuredly NOT a morning person! 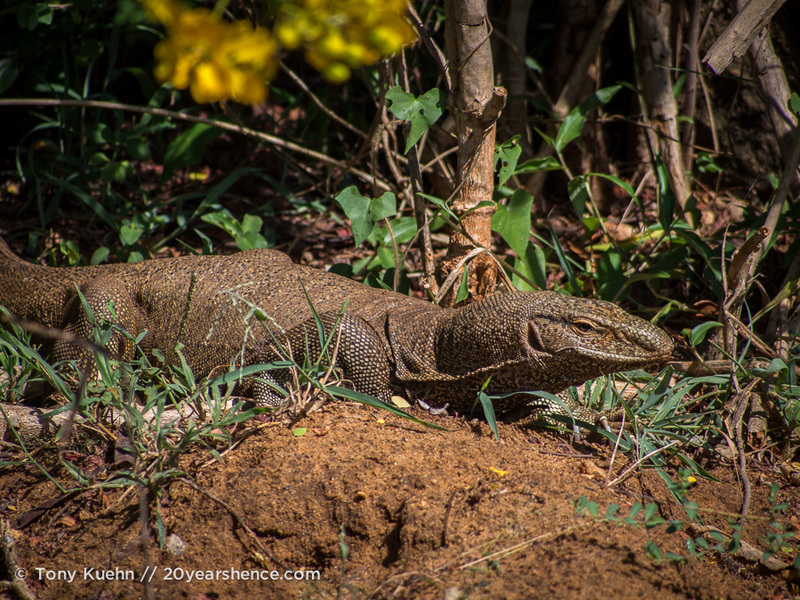 just found your articles on Sri Lanka and the detail is spectacular! thnak you for all the help. 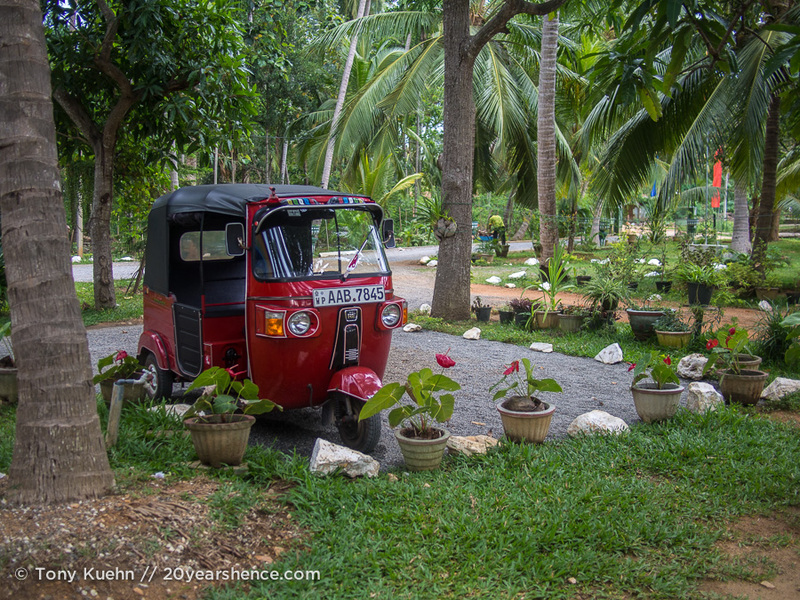 we will be renting a tuk tuk and following a similar path. What time of year did you travel in? So glad you like our stories! Good luck and have a great time! We were there in April.